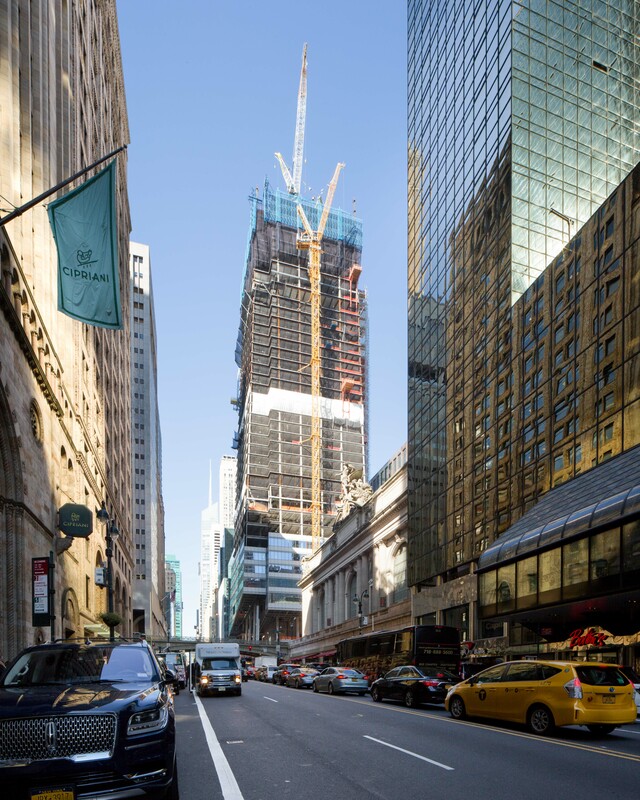 At the beginning of 2018, One Vanderbilt Avenue was only just rising above its retail podium. 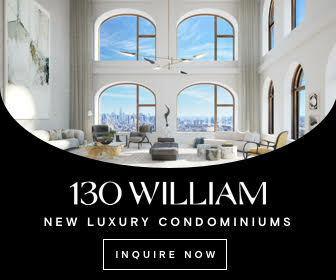 While it was as wide as it would ever be, it was hard to imagine the inevitable future height that the Midtown has already reached. 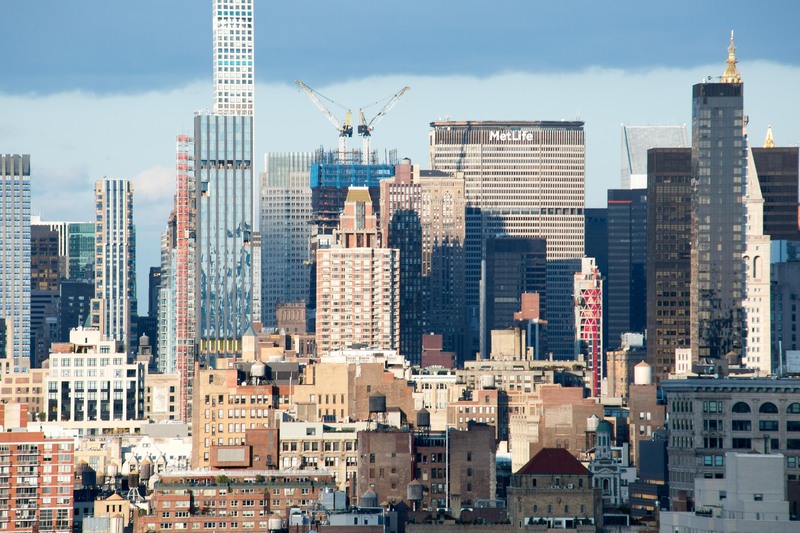 When complete, the supertall will be the fourth tallest skyscraper in New York City, competing with the Billionaires Row and FiDi Supertalls, and now it’s finally piercing the Midtown plateau. 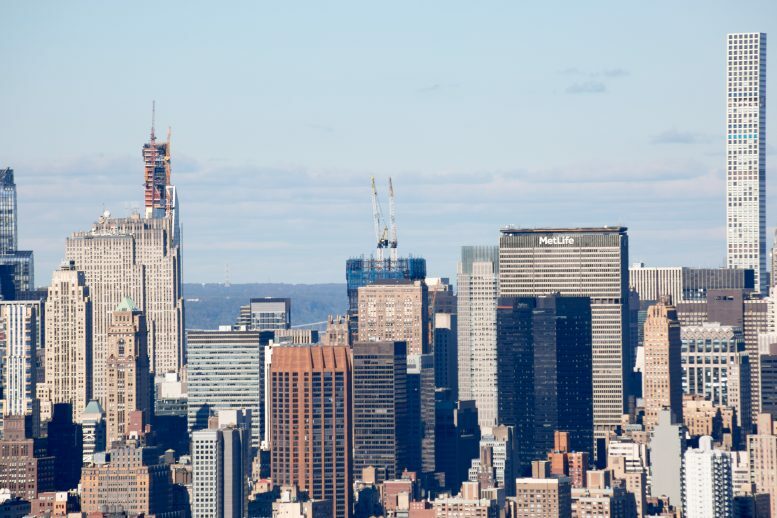 Work is about three or four floors below the 808-foot-tall Metlife building, meaning One Vanderbilt is well past half its full height of 1,401 feet. Hines and SL Green are responsible for the development. 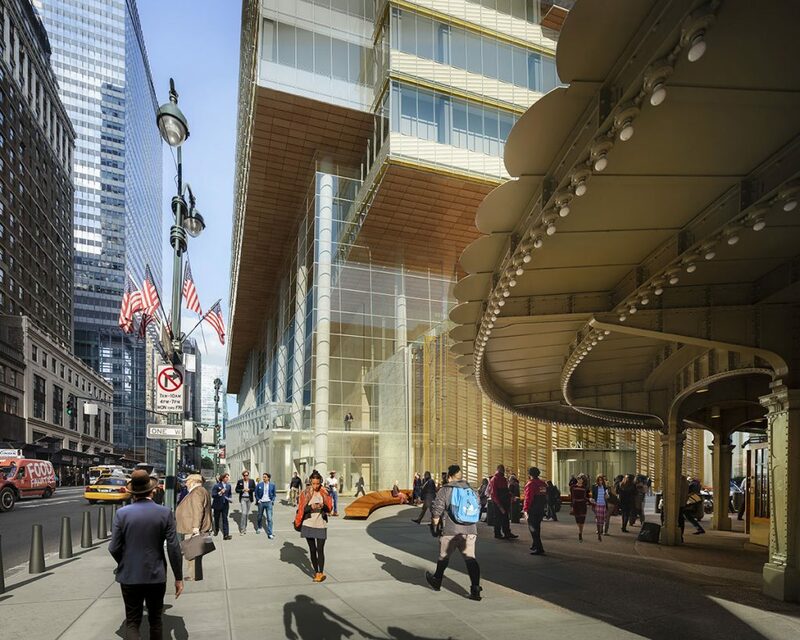 The future 1,401-foot-tall supertall will be adding 1,750,000 square feet to the neighborhood, with uses spanning civic, cultural, and retail functionalities. Its main purpose, of course, will be for office space. Already, many tenants have agreed to lease space, including TD Bank, which will be the anchor tenant. 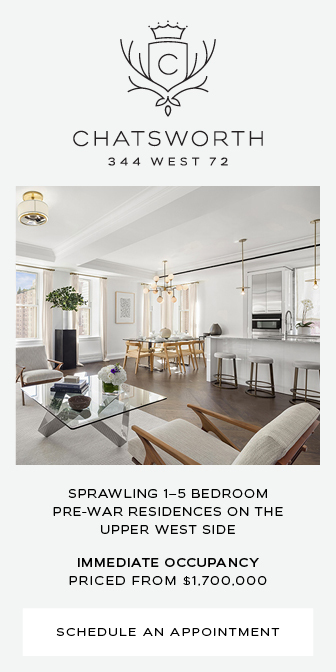 They will occupy 200,000 square feet, and have a flagship store at the corner of 42nd Street and Madison Avenue. 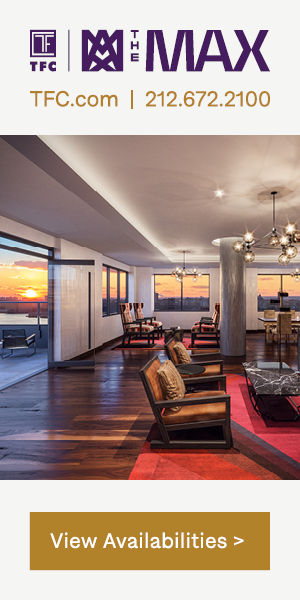 Other tenants include the Carlyle Group, McDermott, Greenberg Traurig, and DZ Bank. 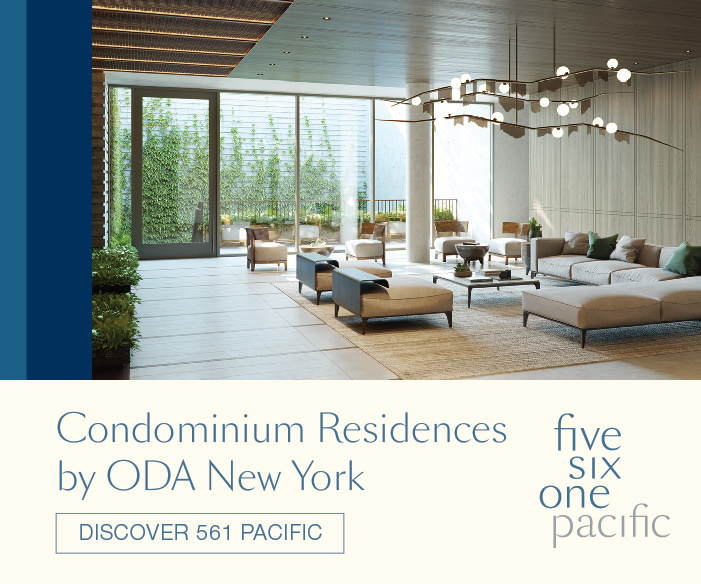 Kohn Pedersen Fox Associates is responsible for the design. Façade installation is already well underway. The curtain wall and terracotta mix works well for the city. The pattern imposes an upward energy to the tower, like a corkscrew spinning the building higher and higher. This spiral rise is mimicked on a larger scale at the tower’s crown, with four sections rising one higher than the next. The crown will be very tall, and does not present many habitable floors. This is why the tower is just over halfway toward its actual peak, and yet has just 16 floors left before reaching the top floor. 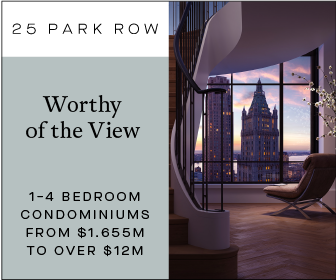 The 70,000 square foot observation deck will occupy floors 57 through 59, and the top floor will be only 1,020 feet above street level. 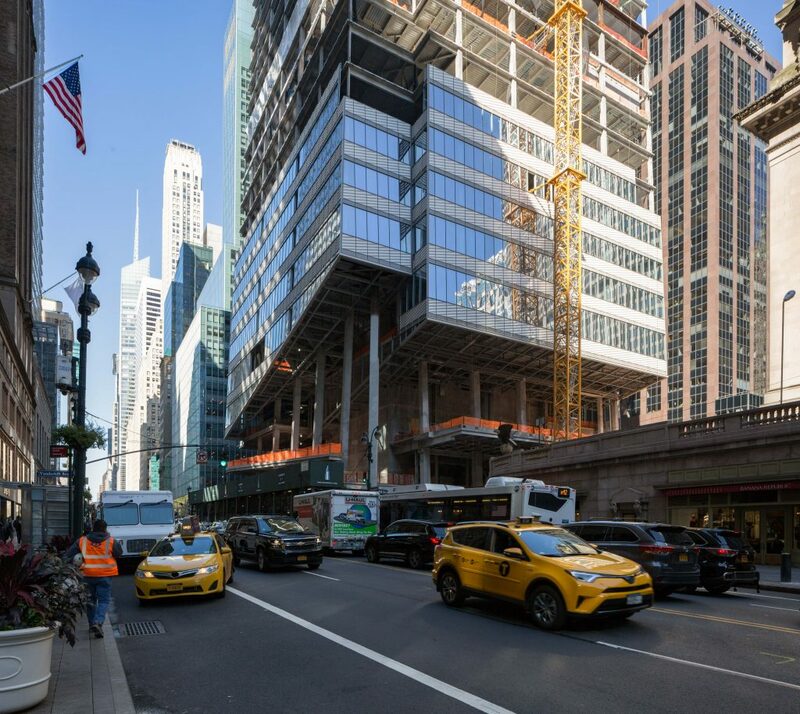 The city’s future fourth-tallest tower is marching quickly toward completion, with an expectation to open by 2020. 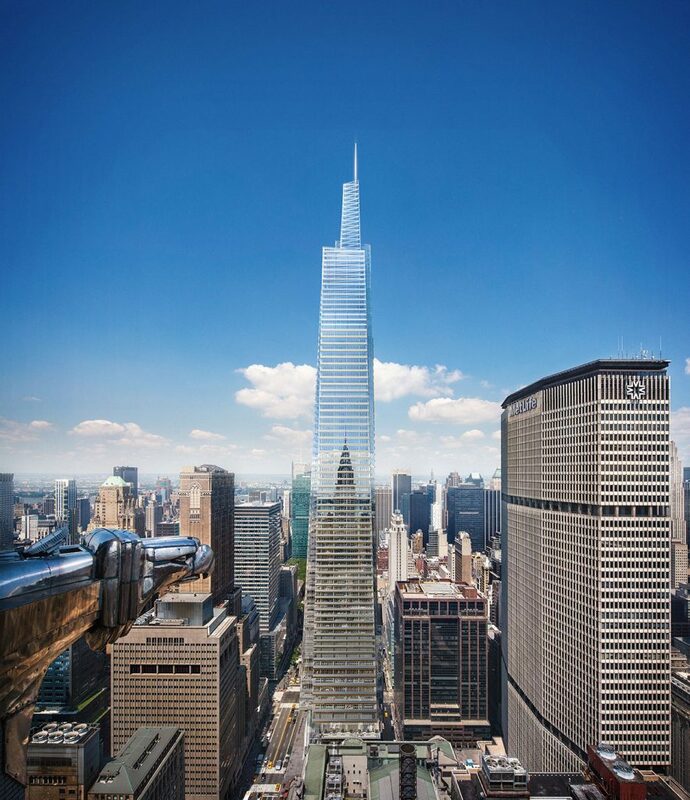 3 Comments on "One Vanderbilt Pops Into The Midtown Skyline, Reaches Past Halfway Point for Full Height"
Please pardon me for using your space: Tower of the year, rising everyday to its achievement. Please pardon my using your space: will this beat the 57th Street towers to top out? ?